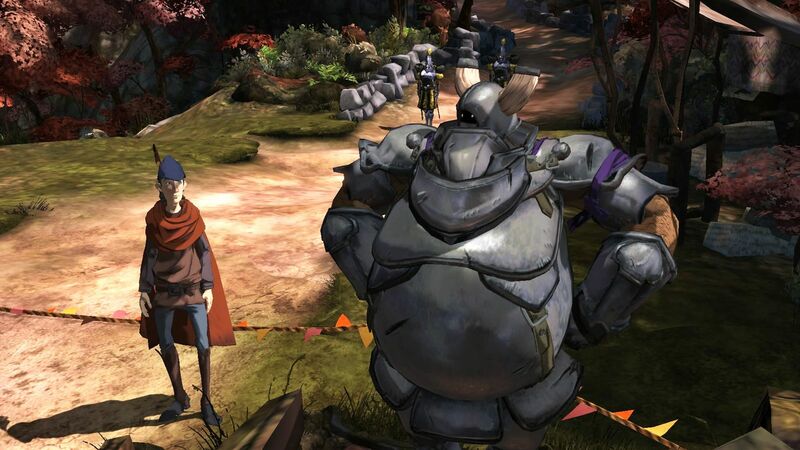 Kings Quest: A Knight To Remember takes some beautiful visuals and brings adventure puzzle gaming back to its roots. The game tells a light-hearted fantasy story about a young man becoming a knight. It has all the things you would come to expect from a fantasy tale set in medieval times, dungeons, castles, epic heroes and dragons. The first episode is roughly six hours long, depending on how long the middle part of the episode will take you as it can drag quite a bit, but the wonderful visuals, story telling and game-play more than make for that. 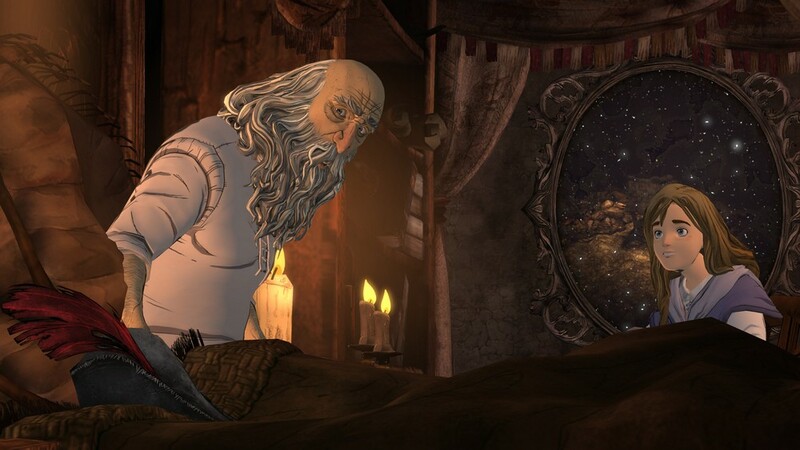 King’s Quest: AKTR follows Graham in his adventures to become a legendary Knight and eventually the King. Graham makes a welcome return in this reboot of the Kings Quest of 1984 but a whole new story awaits our hero in this game. Graham is a very likable character and his attempts to outsmart and beat four other candidates to the open knights position has genuine laugh out loud moments as well as epic battles and wonderfully crafted puzzles for you to figure out. If you are new to the Knights Quest series you may take a while to figure out you must learn everything and figure everything out on your own due to a lack of any sort of tutorial. Veterans to the series should enjoy this game also as the game stays true to its predecessor. Unlike the Telltale games series of games game altering choices are rare but they do pop up now and again. Mainly these choices run a long the lines of making Graham look like a coward or the hero. Other choices, like an early choice whether or not to kill a dragon may have implications in later episodes but that remains to be seen. The game has lots of humor but also tones can turn quite serious when battles ensue. There is plenty of lore beyond the core story itself to find about the land of Daventry too that is well worth reading. There are a few bad points to the game unfortunately. Cut-scenes are unskippable meaning if you want to play through twice to change your decisions you will have to watch every one again. The game also has a severe pacing issue around the halfway point where you will find yourself going back and forth between screens looking for items so you can proceed on your journey. The puzzles in the game are fantastically laid out. None of them are painfully difficult but all of them do pose an interesting challenge and never seem too easy or an annoyance just to advance in the game. All of this is wonderfully worked into the conversation of the elder Graham as he tells his story to his granddaughter Gwendolene in the forms of puns or jokes as to the deaths that occurred or the many failed attempts at doing something. Kings Quest: A Knight To Remember brings adventure gaming back to its roots with wonderful puzzles, platforming and story telling. The beautifully hand drawn backgrounds and character models all add to the splendor of playing Kings Quest. Apart from a minor pacing issue around the middle the game is a wonderful addition to any adventure gaming Knight wannabe fan’s collection.